You can purchase licenses any time of the day or night, and print your license out in your home or office in just minutes. The private land you use for recreation belongs to someone else, just as surely as your car or home belongs to you. Access to private land is a privilege, not a right. 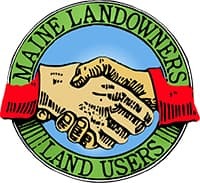 Now and in the future, private ownership is key to preserving Maine's rural heritage and recreational opportunities.